​Bold. Unapologetic. Brilliant. ​No nonsense marketing to coaches. 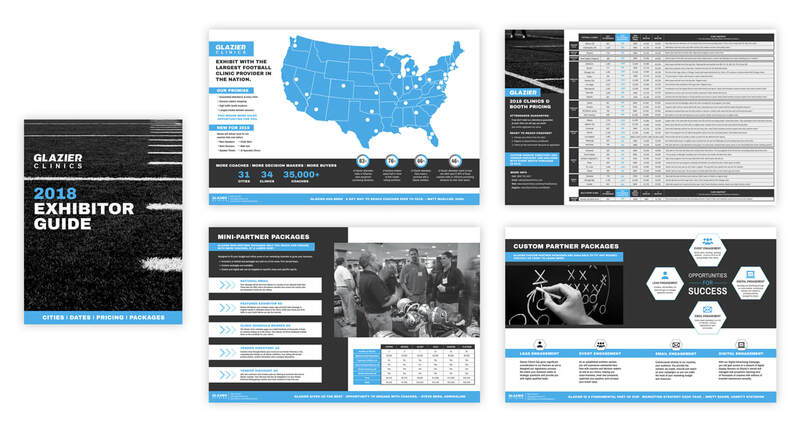 This is an all out brand refresh that targets no nonsense football coaches. A strong, clean campaign with just the facts did the trick. From the striking blue to catch the eye, to the bold typography, this campaign is not only a success but also a great way to increase business and brand recognition. 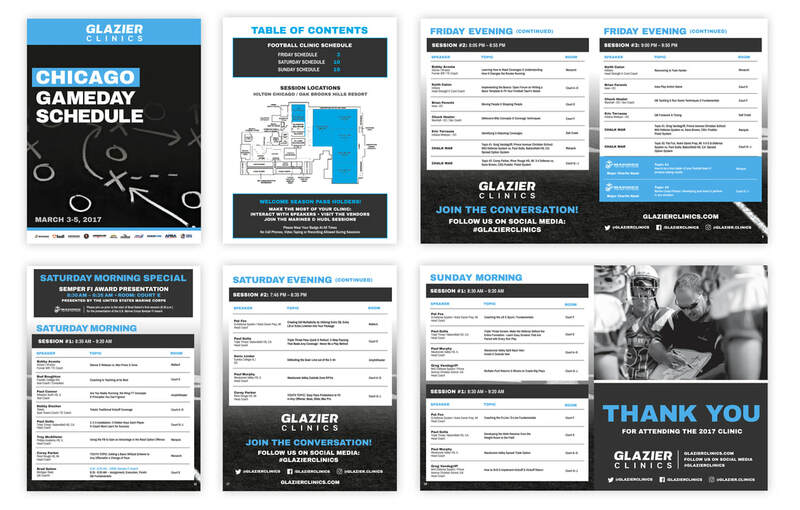 This Exhibitor Guide is the first piece of marketing sent to partner companies showing off the new, streamlined way that Glazier does business. The Gameday Schedule, provided to all conference attendees, is not only streamlined with easy to use charts, it succeeds at keeping the strong Glazier style throughout. 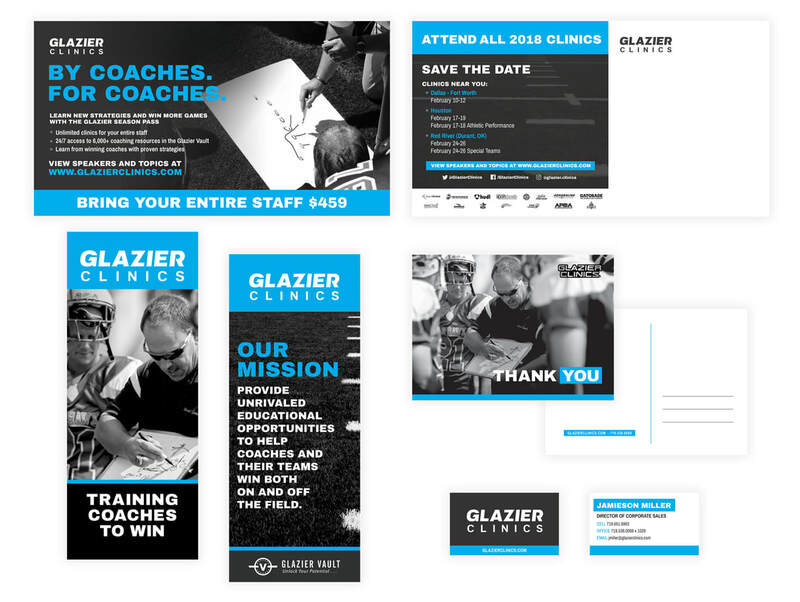 From inception to implementation, Glazier's bold, unapologetic, and brilliant approach to marketing has cemented an unforgettable brand identity successfully recognized in this competitive field.